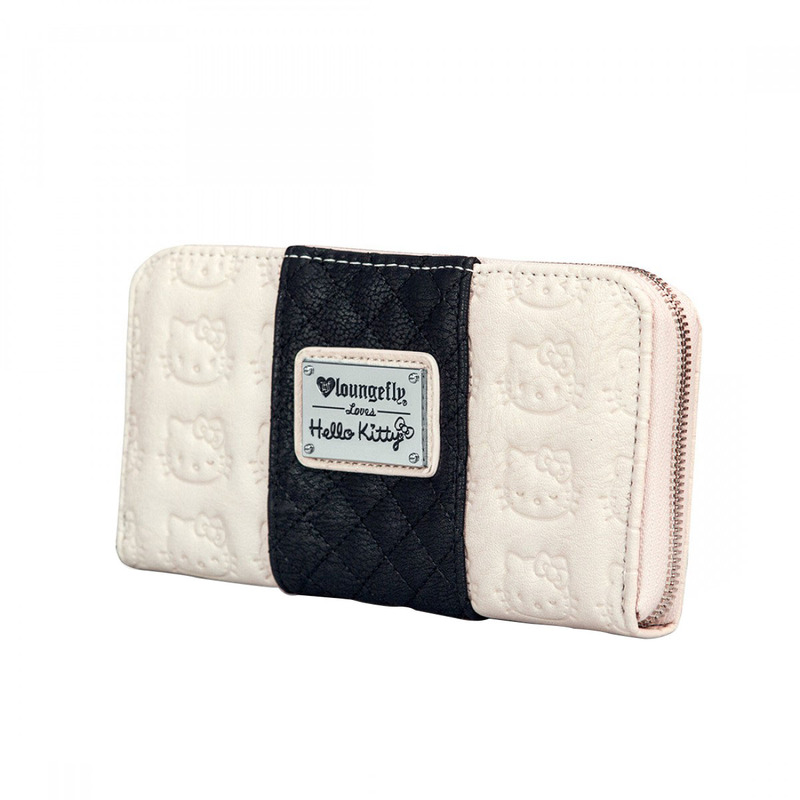 Show off your classy side with this stylish Hello Kitty wallet. 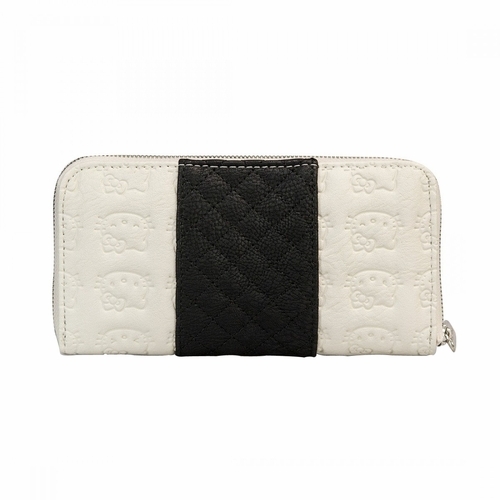 This zip-around, embossed faux leather wallet features an elegant cream-colored body with a quilted black panel and metal plaque detail. Complete this look with the matching tote! 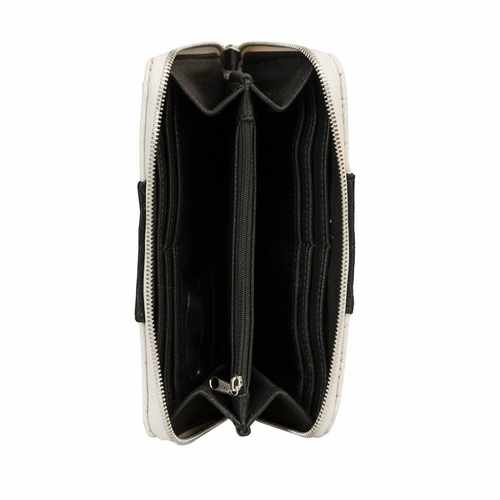 Embossed Faux Leather Zip-around Wallet with Quilting and Metal Plaque Detail.